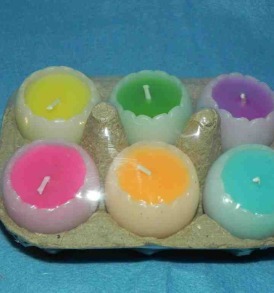 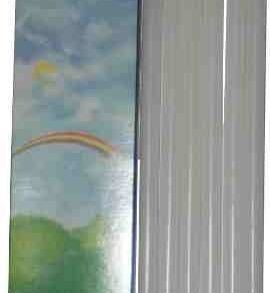 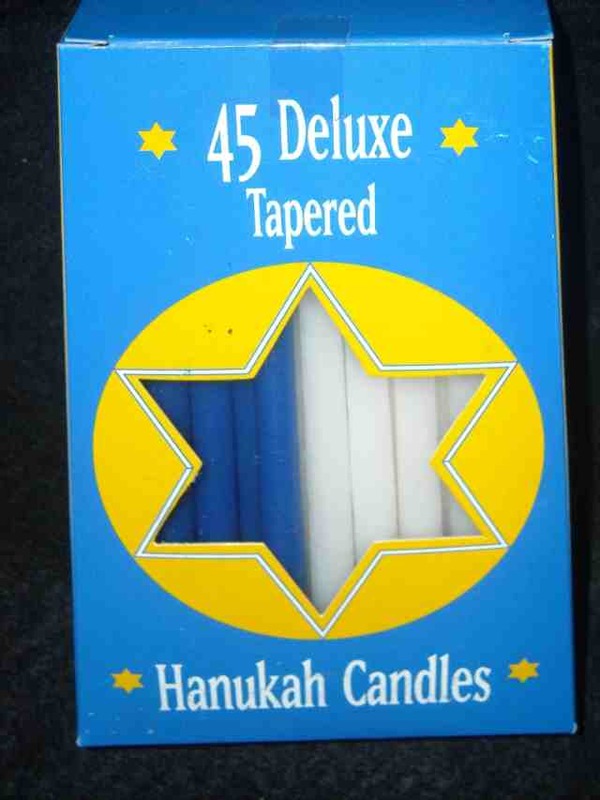 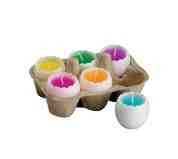 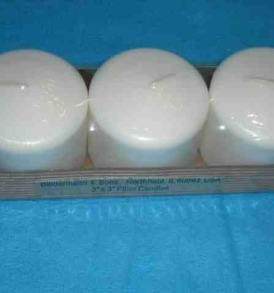 Here I have a new box of 45 Assorted Blue and White Hanukah Candles. 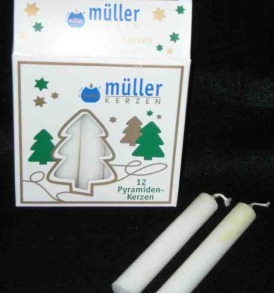 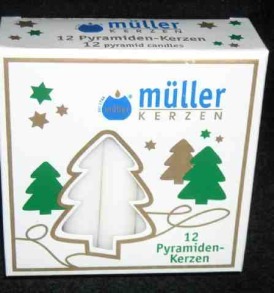 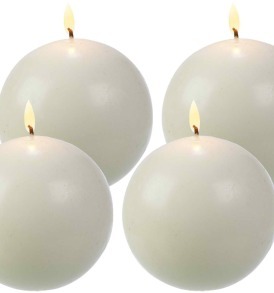 They are 3/8″ by 6″ tall and are sized to fit most Menorahs. Here I have a new box of 45 Assorted Blue and White Hanukah Candles. 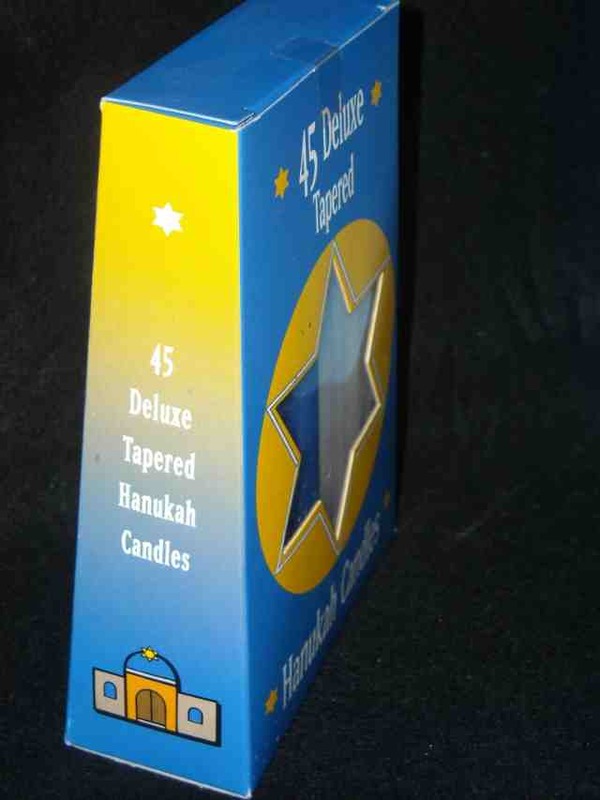 They are 3/8″ by 6″ tall and are sized to fit most Menorahs. 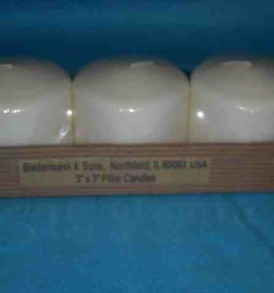 These are made in Europe for Biedermann & Sons Inc. 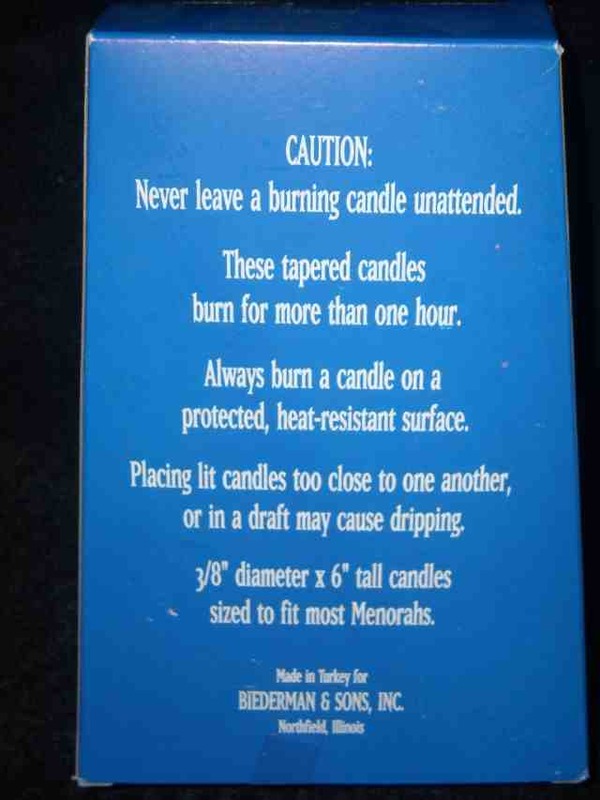 The burn time is approximate 60-90 minutes each.